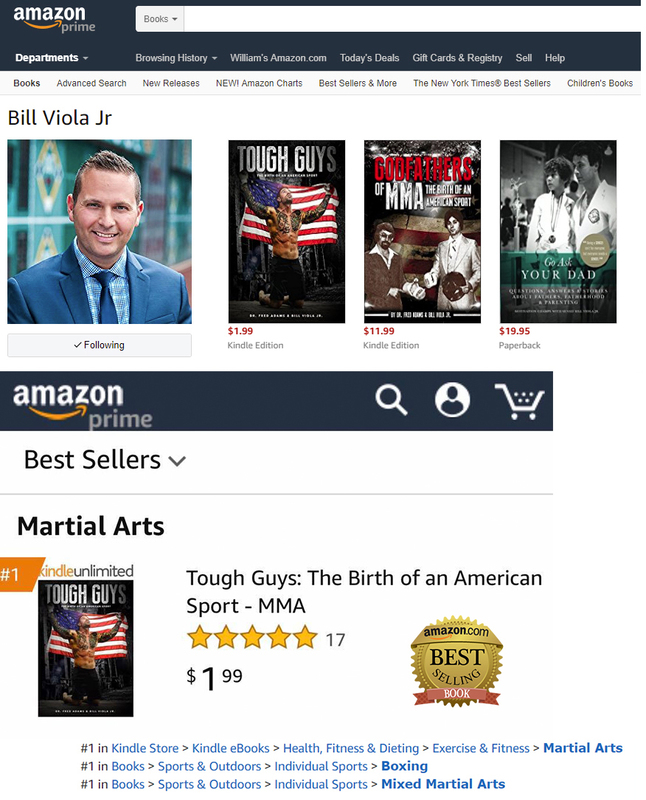 An interview with the Bill Viola Jr. (Author of Amazon #1 best seller Tough Guys). Why and when did you decide to write Godfathers of MMA? The real story of who invented the sport of MMA in America was in jeopardy of being lost forever. My father and his business partner created a regulated MMA in 1979, and I needed to set the record straight. They deserved credit and I was shocked that all of the history books available were clueless. It began as a passion piece to provide information and morphed into the most the most comprehensive book on early MMA history. 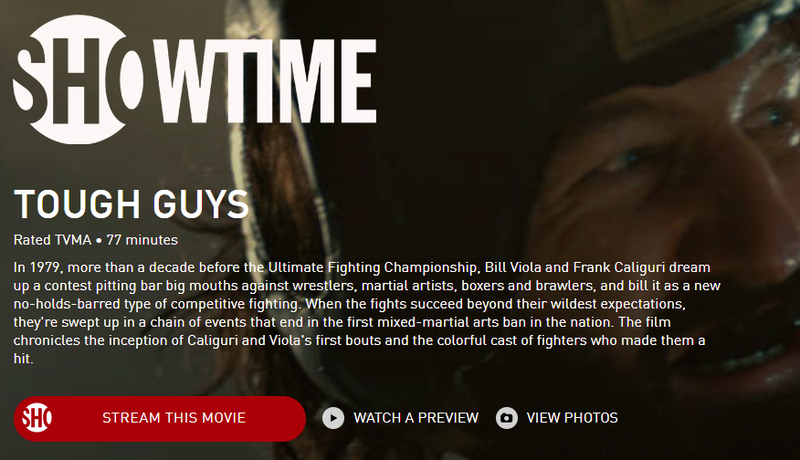 You get an inside look into the minds and events of the men who “mixed” the martial arts a decade before the UFC (Ultimate Fighting Championship.” They created a new sport in the form of the Tough Guys. How did things with the movie get started? Shortly after the exclusive preview run of Godfathers of MMA, Pittsburgh Post-Gazette reporter Robert Zullo stumbled upon the Tough Guys exhibit featured at the Heinz History center. The display recognizes Pittsburgh as the Birthplace of MMA. The display is located right next to Franco Harris’s immaculate reception and catches a lot of attention. Zullo explains, “I couldn’t believe I’d never heard about this story. I was enamored with the time, place and machismo of the whole thing. I just had a gut instinct to meet these guys.” Zullo reached out to his brother Will and childhood friend Craig DiBiase a producer [MinusL] and Director Henry Roosevelt from New York City. Zullo also got his Academy Award winning cousin, Ross Kaufmann, on board. Two years later after 52TB of filming, the Tough Guys Doc was born. When did the movie start in production? Was it all filmed in Pittsburgh? We had 18 locations from Florida to New York but the bulk of the footage and interviews were from Western Pennsylvania (North Huntingdon, New Kensington and Pittsburgh). How did the name Tough Guys come about? In the late 1970s and early 1980s, Pittsburgh was the epitome of a blue collar ‘tough’ city. This sport would be an open call for the ‘toughest’ guys on the planet to fight, so Tough Guys was fitting for the era. The documentary stars the men who lived it. We were fortunate to film the original fighters and pioneers. One of the stars was Dave Jones. He trained at my father’s dojo and actually worked for North Huntingdon Township as part of a ‘road gang’ and laborer. Dave fought in the first fight and won by TKO. He was fearless–I looked up to him as a kid. had the unique experience to wear many hats on the project: the production end, consulting end, and even played a 1979 version of my father in the famous ‘Denny’s Restaurant’ scene. Since my book was the master outline, I had to on point. When did the movie premiere? Initial praise attracted a star studded lineup of executive producers including Academy Award® Nominated Morgan Spurlock (Supersize Me) and Oscar winning writer Ross Kaufmann (Born in Brothels). The world premiere of “Tough Guys” took place at the American Film Institute (AFI) Docs on June 15th 2017 at the famous Landmark Theatre in Washington, DC. It was screened the day after the mega Mayweather / McGregor announcement. The film sold out. Will it be shown again in the future? It aired all of September and October. Then it will be distributed internationally. Do you have plans to write anymore books or be involved in any other movies? After the Showtime debut, my commemorative edition of the book retitled ‘Tough Guys’. 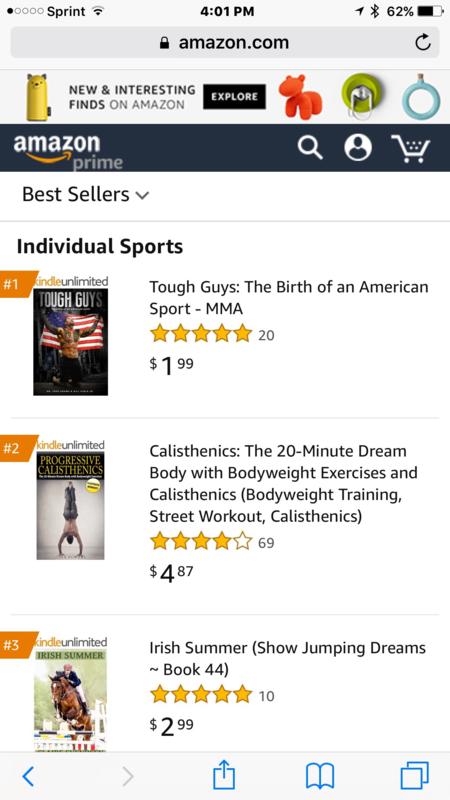 It just hit #1 on the Amazon Best Sellers list for sports today. It’s received critical acclaim and we’ve been getting offers for a screenplay to turn the journey into a major motion picture. That is my ultimate goal. With the right team, I know this could an Oscar worthy drama. How passionate are you about MMA? I am most passionate about teaching and sharing my knowledge. It’s a family legacy. All my siblings are black belts and now I am mentoring my daughter (Gabby) and will have my son William Viola IV who was just born in September on the mat soon. MMA (Mixed Martial Arts) is a sport that combines all disciplines of combats sports (boxing, karate, wrestling, judo etc.) fighting into regulated competition. My father is credited for writing the first legitimate rule book in 1979. The UFC, the sports largest franchise, was sold for 4 billion dollars in 2016. If Pennsylvania didn’t outlaw the sport in 1983, my father and Frank would be at the helm of that empire. How can people get a copy of the book?